This is a secluded beach on the Island of Antigua. The Carribean water was amazing how it changed colors as it rolled onto the white sand from aquamarine to blue, purple and pink. 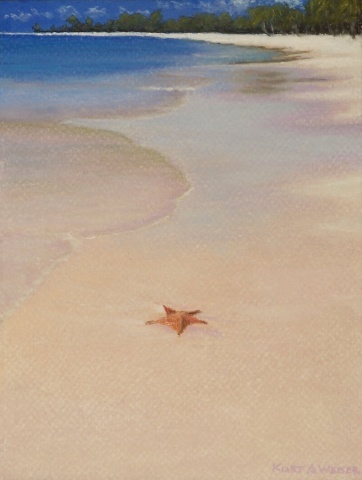 The starfish really was the only living thing there as far as the eye could see.